Colson Baker AKA Machine Gun Kelly or MGK has made a huge name for himself in the hip hop community in a few short years. 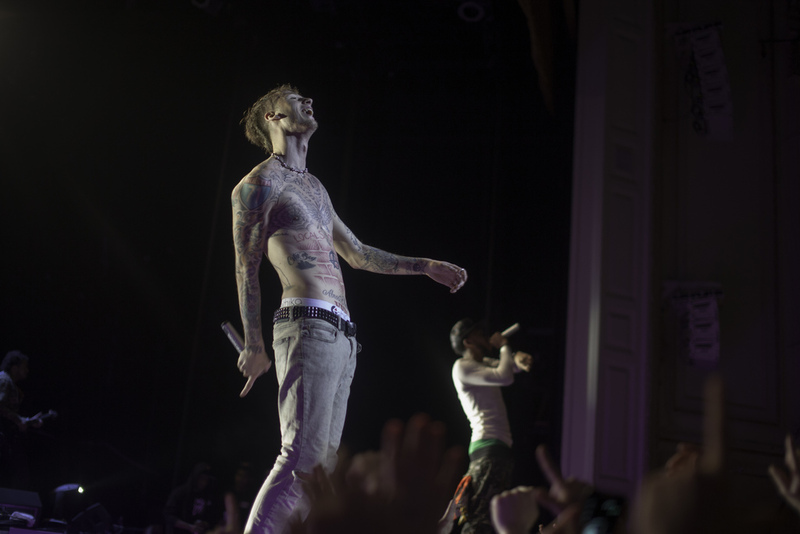 MGK was the first rapper to ever win at the Apollo Theater in Harlem. Just having one victory there is impressive but Machine Gun Kelly has had 3. MGK started off like tons of other rappers releasing mixtapes in-between jobs to stay afloat. Persistence has paid off with the release of 3 studio albums Lace Up, General Admission and Bloom. MGK has crushed Billboard Music charts with every album release/mixtape and has no signs of slowing down. With all 3 albums and mixtapes Machine Gun Kelly has collaborated with some huge names like P. Diddy, DMX, Bun B, Tech N9ne, and Waka Flocka Flame to name a few. Now on a fun note you luckily don't have to be "Half Naked & Almost Famous" to catch MGK in concert. He is heading out on the "Mania Tour" with Fall Out Boy in 2018. Don't miss out on seeing how Machine Gun Kelly got his stage name, and enjoy his rapid firing hip hop lyrics live. Checkout the awesome selection of seats and buy tickets for any upcoming MGK concert today from Rad.Tickets.